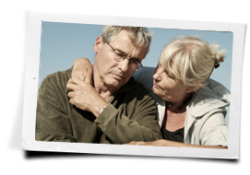 Help your loved one find an alcohol rehab center! When you have a loved one who you are particularly close to and you realize that he or she may be in trouble it can be devastating. Sometimes, we notice that our loved ones need help for their alcoholism long before they are willing to admit that there is a problem—but what is a loved one to do? How can you tell for sure that your loved one has a serious drinking problem and that help from an alcohol rehab is the only safe option? If you think that your loved one might need alcohol rehab, call our helpline at 800-481-6320 to talk with a counselor who can help. 1. Your loved one might need help if he or she has started to suffer from health conditions that are related to the drinking. These conditions may include weight gain, hypertension or high blood pressure, liver problems, kidney problems, or other health related problems. Helping your loved one make the decision to seek help in alcohol rehab as soon as possible will help to alleviate some of the health problems associated with alcoholism and for those that cannot be cured, no longer drinking will at least keep the problems from progressing in some cases. 2. Your loved one might need the help of an alcohol rehab if he or she has suffered legal problems as a result of their alcoholism. These problems may include DUI, public intoxication or other similar legal battles that come as a result of drinking. In some cases, legal charges will be dropped or reduced to a lesser charge if the individual willingly seeks the help of an alcohol rehab before going to court. 3. Your loved one might need to seek the help of an alcohol rehab if he or she has had problems with relationships as a result of the drinking. These problems may include fighting with a spouse, neglecting a child or neglecting family in order to continue drinking. Often times, alcohol rehab will include family counseling, marriage counseling and other methods of counseling that will help to heal the wounds that have been caused on relationships as a result of the drinking. 4. Your loved one might need alcohol rehab if he or she is missing work, school or other obligations as a result of drinking, being drunk or being hung over. Problems such as these are a sign that the alcoholism has begun to interfere with daily routines. Alcohol rehab can help your loved one get back on track, get their priorities straight and worry about something besides drinking. A sure sign that there is a problem is when an individual can no longer handle his or her priorities as a result of the drinking patterns. 5. Your loved one should seek the help of an alcohol rehab if he or she lies about drinking, has tried to stop drinking and failed or makes claims that the drinking is less of a problem than it is. Denial is one of the first major signs that there is a problem. Alcohol rehab centers work with the individual to help them see the problems that the alcohol is causing, realize that there is a real problem and make the honest decision to get sober. If any of these problems has affected a loved one in your life, call our helpline for a free referral at 800-481-6320. According to the National Institute on Drug Abuse, most treatments have a 40 to 60 percent success rate. This is the same as most rehabs in the United States and is the same relapse rate for most chronic disease. This does not mean that you will not succeed; relapse is part of the process. Making…. According to the National Institute on Drug Abuse, stress is one of the main causes of drug and alcohol addiction. The holidays are known to be a particularly stressful time for many who are already experiencing depression and anxiety. If you are suffering from an addiction that is rapidly growing due to holiday stress you…. Are you ready to get help for addiction? At inpatient drug rehab centers you can expect to receive around-the-clock support and monitoring that assures you get the help you need when you need it the most. Overcoming addiction can be a very difficult task and it may be scary when you first enter drug rehab….